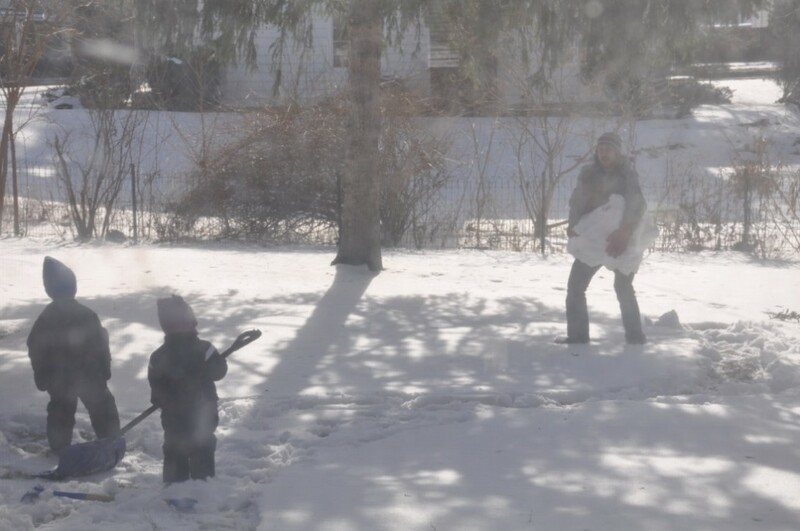 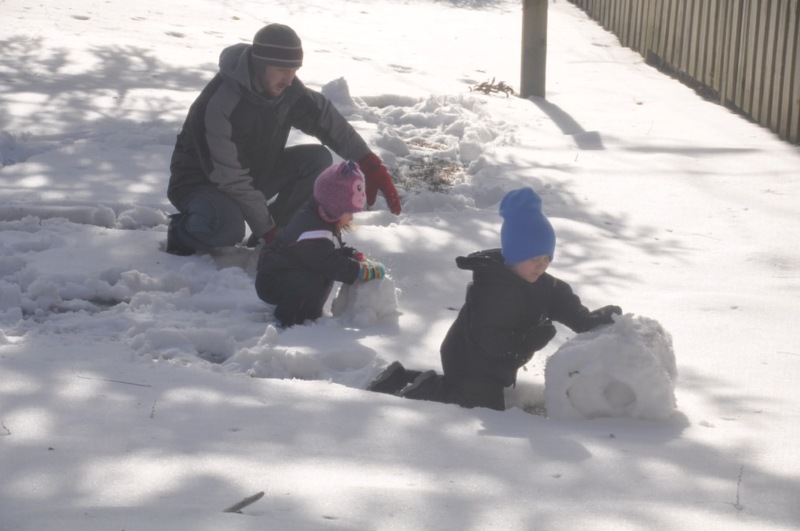 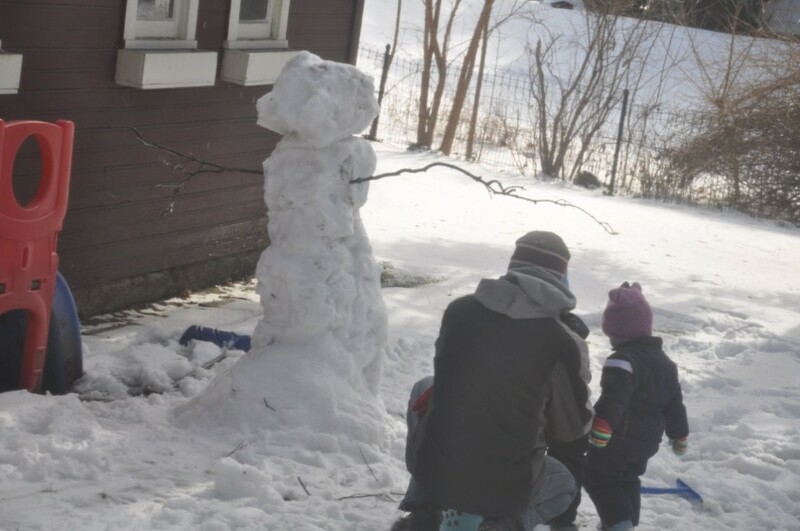 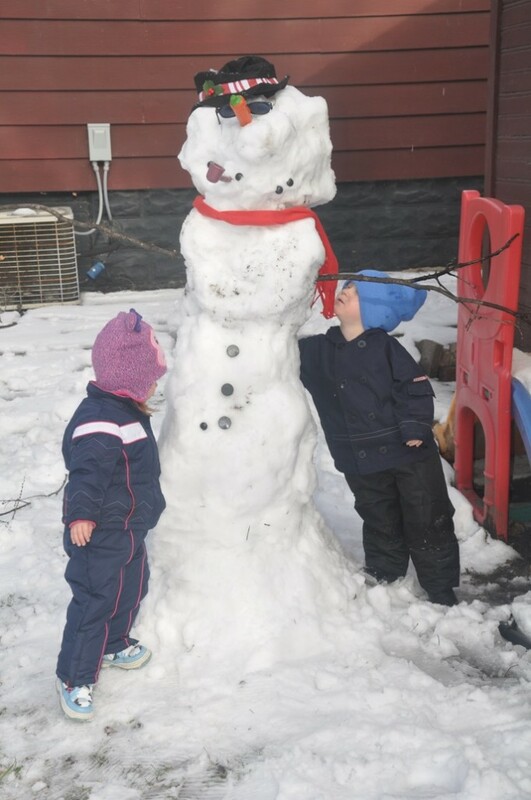 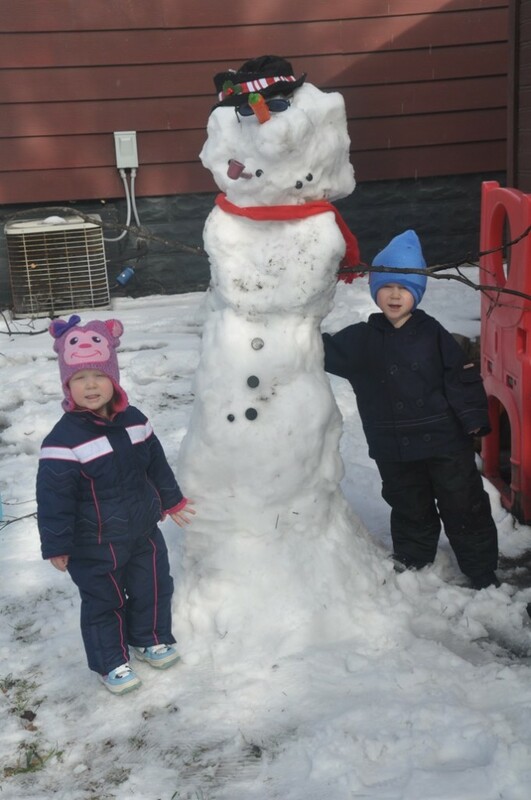 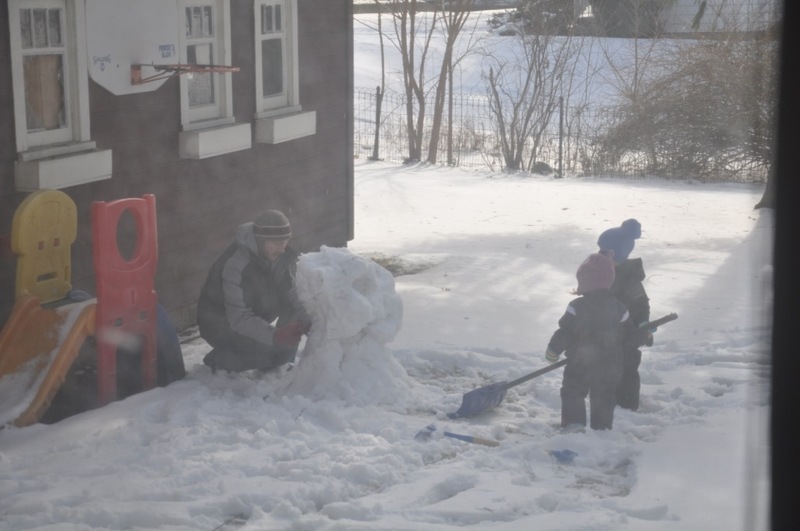 We got a good snow over a week ago and were determined to use the sunny, slightly melty Saturday afterwards to build a great snowman. 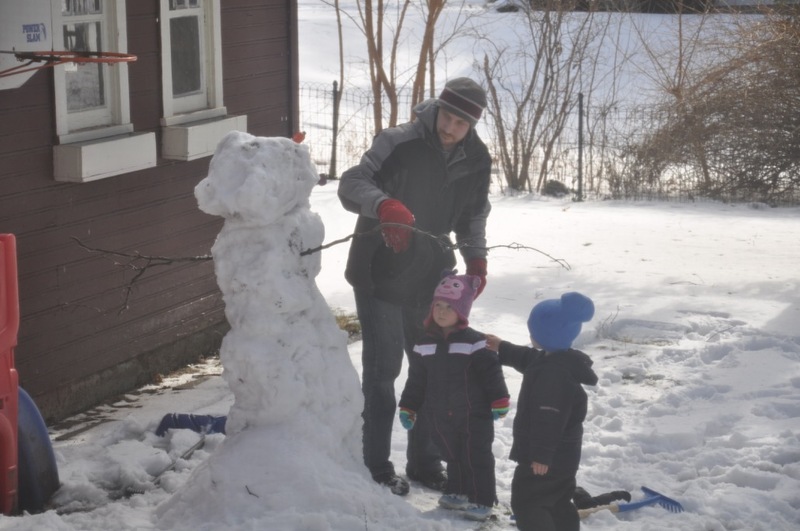 Especially because Friend/Neighbor/Former CoWorker Imelda had given us a snowman kit as a present! 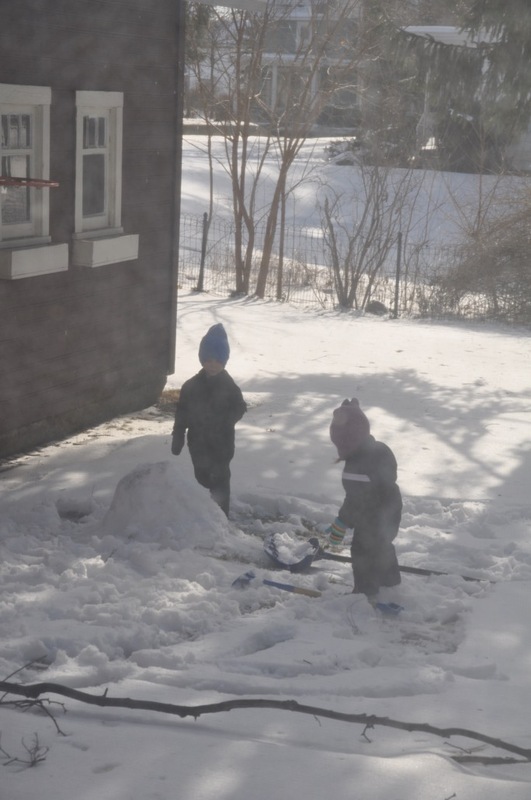 It was a great morning quite deserving of hot cocoa.